You’re pregnant. Now what? There are so many things to know and details to handle in the next nine months – from the changes you can expect during pregnancy, to where to give birth, figuring out your insurance coverage and deciding when to share the happy news with friends and family. Overwhelming, we know. Take heart. Information and support is plentiful. And if you check off a couple to-dos at a time, it may feel less daunting. To help you get started, we’ve created a short list of key things to do in the first trimester of your pregnancy. Choose a health care provider, like an OBGYN or midwife. Read more about your options and how to choose the right provider for you here. Blood type – If your blood type is RH negative, you may need a shot of Rhogam at 28 weeks and after delivery. Other types of diagnostic tests are available. Talk to your provider about these optional tests. Research your insurance. How much does it cover? The Affordable Care Act requires all qualified health plans to cover maternity care and childbirth, as well as many free services. However, some older plans, known as grandfathered health plans, are not required to cover pregnancy, childbirth or preventive care. To find out whether your plan is grandfathered, call your plan provider. If you smoke, now is the time to stop. Need help? Providence offers smoking cessation classes in every region. You can also find tips on how to stop smoking in the Providence health library. Stop drinking alcohol. If you need support, talk to your provider. The Providence health library also is a helpful resource. Start stocking your kitchen with healthy fresh foods – and eat them! Plan, schedule and prioritize sleep. If you have an existing condition such as diabetes or high blood pressure, talk to your provider about ways to manage it. Avoid activities that may be hazardous to your growing baby. What types of activities are considered “hazardous?” Contact sports, exercise to lose weight or any activity that’s jarring isn’t recommended for moms-to-be. Your provider can help you choose safe activities to do during your pregnancy. Avoid using harsh cleaning chemicals at home. Make your own with white vinegar, baking soda and hydrogen peroxide. Mix equal parts white vinegar and water in a spray bottle to make an all-purpose cleaning solution. Baking soda makes an excellent hard water stain remover in your tub or shower. If you have a cat, hand the litter box scoop to someone else in your household. Toxoplasmosis is an infection that can be passed from infected cat feces to people. A growing baby infected with toxoplasmosis can suffer from brain damage and vision loss. If you work around chemicals or heavy metals, talk to your provider. 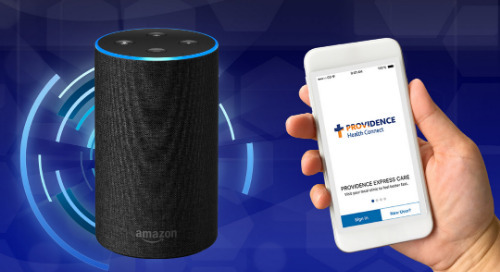 If you’re pregnant and need a health care provider, you can find a Providence provider or birth center near you by going to our multistate directory. The National Institutes of Health has a ton of helpful information for moms-to-be. Specifically, this page covers healthy eating and weight gain, as well as safe exercises. You’ll find a handy checklist and much more on Circle by Providence, an app designed specifically for expectant and new moms. From early pregnancy through your baby’s first year, it will give you current info from Providence experts. You can download Circle to your phone at no cost. Go to the App Store to download Circle by Providence for iPhone, or visit Google Play for Android devices.